Are we required to book the Vermont B&B guestrooms if we book the Round Barn for our Vermont wedding? It is completely your choice whether to also reserve the rooms of the Inn. Please note that certain restrictions apply if you are not reserving all of the Inn rooms. What if all 12 of the Inn guestrooms are not available for the date that I want to book the Round Barn for my celebration? 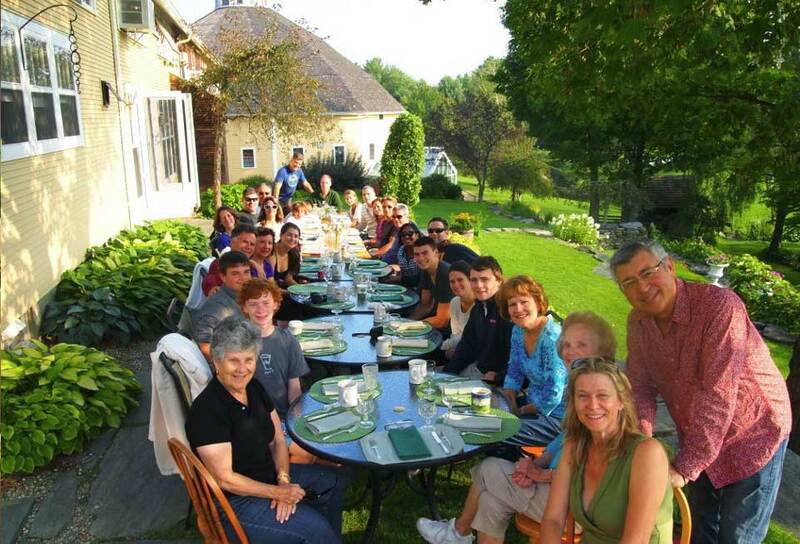 All guests who make reservations at our Inn have an expectation of what their stay will be like. Please inquire with our lodging manager about restrictions that apply when all 12 of our rooms are not available. If I decide to book all the rooms at the Inn, what is the deposit and payment schedule? If you would like full access to the Inn by reserving the Inn guestrooms, a $2,500 deposit is required, which serves as your “blanket” deposit for your block of rooms. 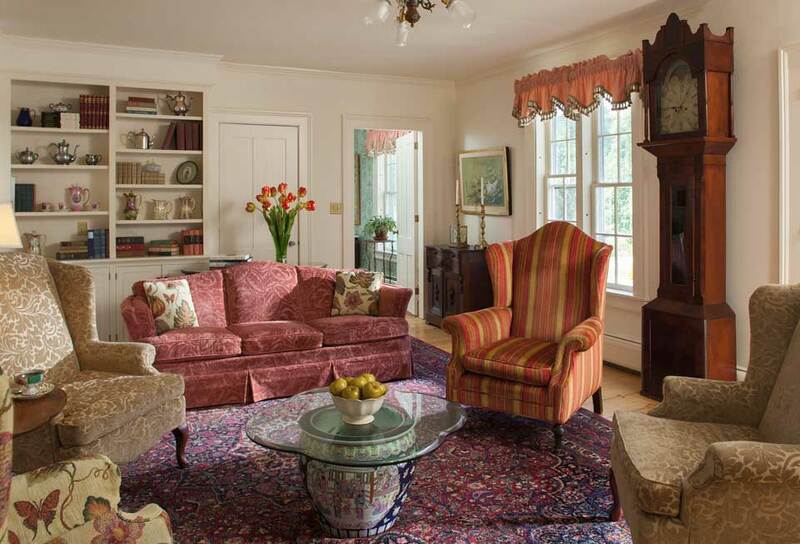 If I give a deposit to reserve the rooms of the Vermont bed and breakfast, does this mean I am paying for all of the rooms? Your deposit simply acts as a “blanket” deposit, which is the only way to reserve all of the rooms. You will receive a Rooming Chart from us where you will designate which rooms are to be billed individually, and which rooms are to be put on the Master Bill. The Master Bill is the room invoice of the financially responsible party for the Inn Contract. Can my guests call and book directly with you once I reserve the rooms of the Inn? 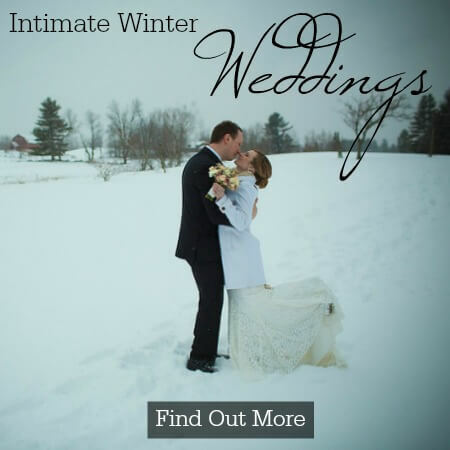 Unlike a large hotel, the Inn is an intimate setting; as such, we want ONLY the people that you wish to be staying here the days of your event to be booked in our 12 rooms so that your wedding can be as stress-free as possible. In addition, this allows you to select which rooms are best suited to each of your selected guests. Do you contact my guests for credit cards/payment? We do not take deposits from your guests prior to their arrival. We collect payment for individually billed rooms from your guests when they depart. In the rare case that a guest leaves without paying or ends up as a “no show”, your room deposit will be used to cover any and all rooms that have not been paid. If there are more than two people in a room, is there an extra charge? All room rates are based on double occupancy. There is a $40 additional charge per person over double occupancy per night. This is a standard charge which covers the cost of extra linens, housekeeping, breakfast and afternoon snacks. How many rooms does the Inn have, and how many guests can stay? The Inn has 12 guest rooms, and our maximum occupancy is 26. Can children stay at the Inn? If you have reserved all of the rooms of the Inn, we are happy to welcome children as guests! Do remember that children are always considered people. For children aged three years or older and staying in their parents’ room, the $40 per night charge is applicable. For the little ones aged two and younger who require a pack and play set up or a cot, there is a $25 charge per night. If the toddler or baby is sleeping in the bed with the parents, there is no additional charge; however, they do count as an additional person. Can you arrange a babysitter for our flower girl? If she is staying at the Inn, yes! We are happy to arrange for babysitting needs that arise for guests of the Inn. Because of liability issues, children that are not guests of the Inn cannot have a babysitter watching them at the Inn. 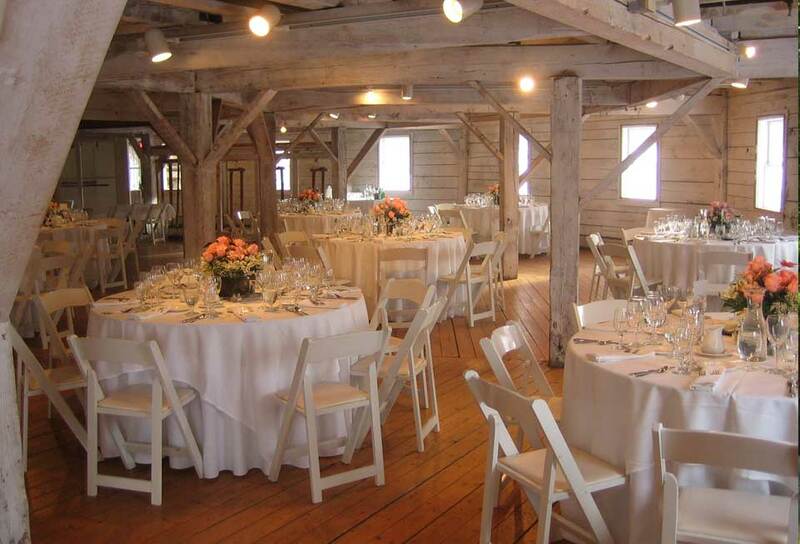 We can, however, arrange for babysitting at the event in the Milking Parlor level of the barn once your guests have transitioned into dinner. If babysitting is arranged for the event, the sitter is considered a vendor and is scheduled to stay at the Barn for the duration of the event. What rooms can accommodate additional people? The Terrace Room can accommodate up to four people if necessary. There is a queen bed, a daybed and a trundle bed. The Jones Room is a good choice for a family of three, as a roll away bed will fit comfortably into the sitting nook. The English Room could also accommodate a roll away bed if necessary, and the King bed can be split into two twins. The Abbott room can also accommodate a roll away bed in addition to the King bed. If you are having trouble putting people in the right place, just ask us – we are happy to assist! Is breakfast included in the cost of the room, or is there an additional charge? Our sumptuous farm to table breakfast, freshly baked afternoon cookies, and early evening hors d’oeuvres are included in the cost of each room! The Inn has window units for all of the guest rooms during the warm months of the year, so your guests are sure to be comfortable. Can we bring our own alcohol to enjoy at the Inn? We are a fully licensed establishment and all alcohol to be consumed in our public areas must be purchased through us. If you wish to have alcohol available to your guests in the public spaces of the Inn we are happy to arrange that for you. Inn guests are permitted to consume beverages they have brought with them in the privacy of their rooms. By law, we must remove any alcoholic beverages that are in our common areas if we have not provided those beverages. Are there any discounts for reserving a block of rooms or the entire Inn? There might be a discount we can offer! Check with your Event Sales Coordinator prior to reserving the Inn. What time is Check-In/Check-Out? Can we check in early? Check-In is at 3pm, and Check-Out is at 11am. If you should need an early check in, please ask us ahead of time. We will make every effort to have your room ready for you if we know you will be arriving early, but we cannot guarantee earlier than 3pm. Is there a minimum amount of nights for which we need to reserve the Inn? A 2 night minimum stay is required for weekends, and a 3 night minimum for certain times of the year. Do you allow smoking in any of your buildings? Your guests may smoke outside but we cannot allow smoking in any of our buildings. Do you have liability insurance in case a guest is injured? Do you have liquor liability insurance?